Over the past decade, there has been mounting evidence that greater levels of gender diversity can have a positive impact on corporate performance and economic growth. Swedish support of UN Reform and the UN Secretary General’s call for a reinvigorated Resident Coordinator function - Advancing coordination, innovation and results in UN’s contributions to Kenya’s development priorities. Radhika Baburao Shinde was all of 12 years old when she was married off to a man who was 10 years older. She was sent away to live with her new husband, a truck driver, and his family in remote, drought-prone Satara district, 330 kilometers southwest of Mumbai. She left school and went to work as a laborer on her husband’s family farm. 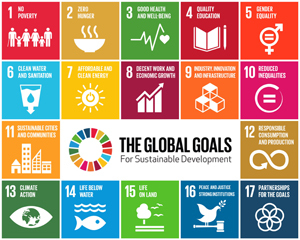 As world leaders look towards a global development agenda beyond 2015, they are faced with unfinished business in poverty eradication, education, gender equality and health. While some countries have made strides towards the Millennium Development Goals and managed to foster equitable growth, a trend of rising inequality within countries continues to accompany economic development. IPS reporting highlights progress and exposes setbacks of the MDGs while focusing on the launching of a new post-2015 development agenda.